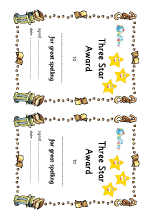 Rewards in both Maths and English are an important part of helping children feel that they are doing well, and raising confidence. 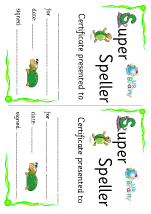 For some time now we have had a good selection of Maths certificates but nothing for English. The good news is that we have now published our first series of certificates for English. 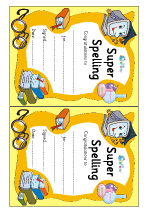 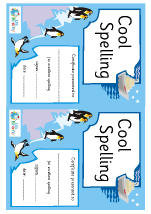 On the site now are certificates for ‘Super Spelling’, ‘Three Star Award for Spelling’, ‘Cool Spelling’ and ‘Great Story Writing’. 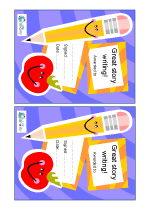 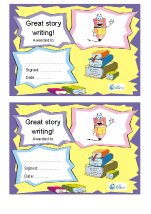 We also have a set of story writing certificates. 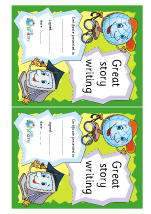 Bright and colourful they are an ideal reward for children who have written a good story.